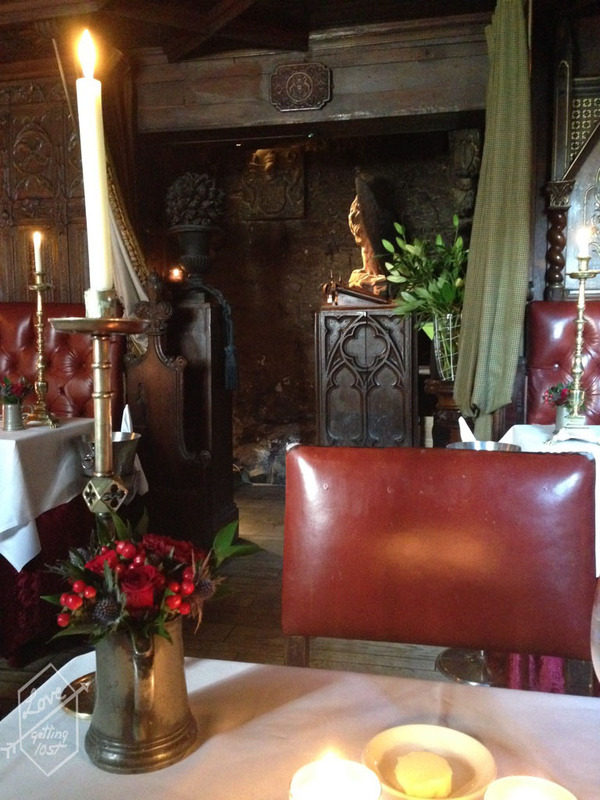 The Witchery Restaurant in Edinburgh is an icon. Started in the 1970’s the restaurant sits just near the entrance to Edinburgh castle and is where I chose to supper before the Edinburgh Military Tattoo (thought I may as well go all out). I made my booking online from Australian which turned out to be more then worth while. This is a very popular restaurant and for very good reason. I was only able to book an early sitting at 5:30pm and I booked a month in advance. I unwittingly booked a table in the original dinning room (so please excuse the mood lighting in the photographs as I was unaware it was such a romantic setting). There is also a second dinning room called The Secret Garden. The Garden is a lot easier to get a table in as is larger and less romantic but still stunning so is a great alternative if your having difficulty getting a table at The Witchery. The menu at the restaurant has quite a few different option and I settled for the Theater supper (only 18.95 pound AMAZING). 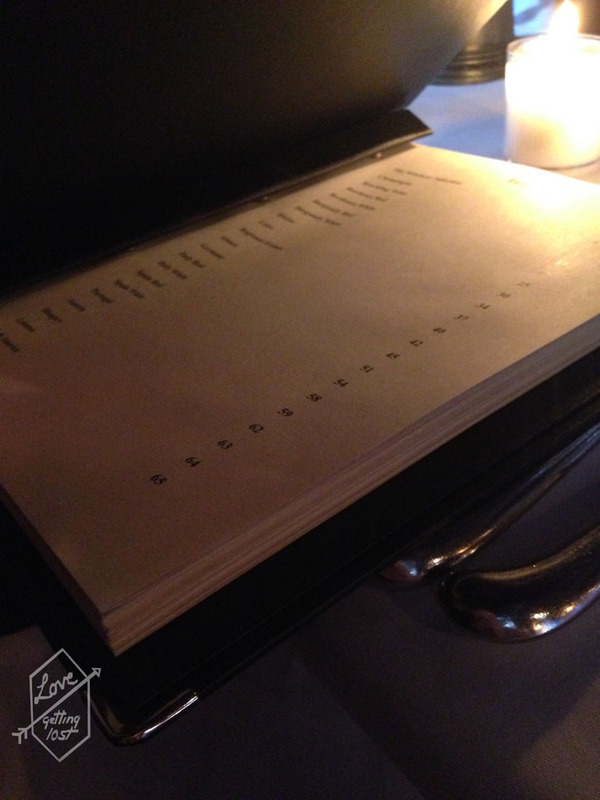 Which was two courses and you could chose form a selection of three dishes for each course. I went with the pea and mint veloute, with Isle of Mull cheddar scones. That’s a very fancy pea and mint frothy soup which was actually amazing and came in a huge bowl (I love getting my moneys worth). 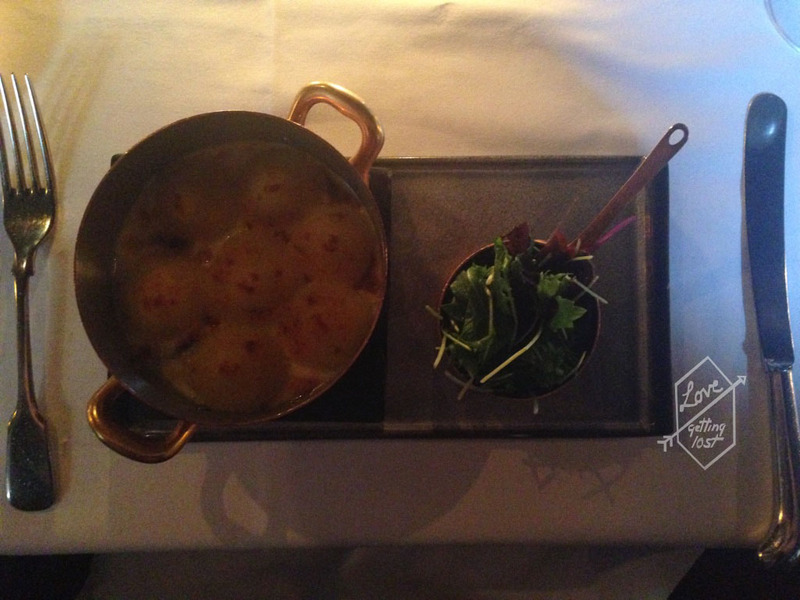 My second course I chose the very famous Witchery fish pie with phantassie farm green salad. This was beautifully rich with a mash potato top. there was a selection of fish in a creamy sauce in the pie and the salad made it so much easier to tolerate so much richness in the pie. I ate it all. Seeing as I was going all out (I do like to spoil myself while away) I went for a dessert as well. 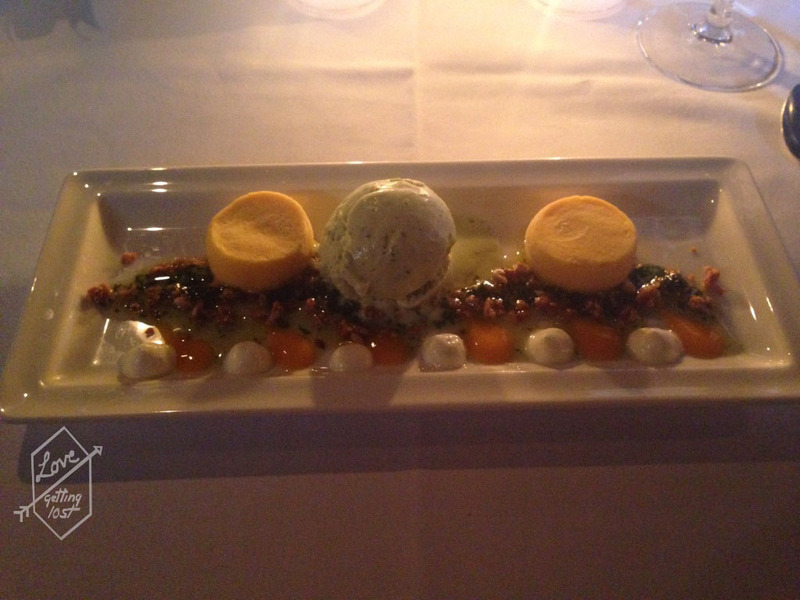 I ordered the Mango vacherin, basil ice cream, keylime mousseline and mango and basil granola. Know I’m from Queensland in Australia pretty much the mango capital of the world and I have never had mango and basil as a flavor combination and it was spectacular and something I suggest people go out of there way to try. I actually sent a friend to this restaurant before me as I was so excited by all the reviews. She loved it and so did I and is a such a old and beautiful city as Edinburgh it really was a highlight of my visit. I really urge anyone heading to Edinburgh to make it a priority to get a table at this restaurant you wont regret it.